We helped align sales and marketing so Legacy Navigator could better organize prospects in the pipeline and improve productivity. 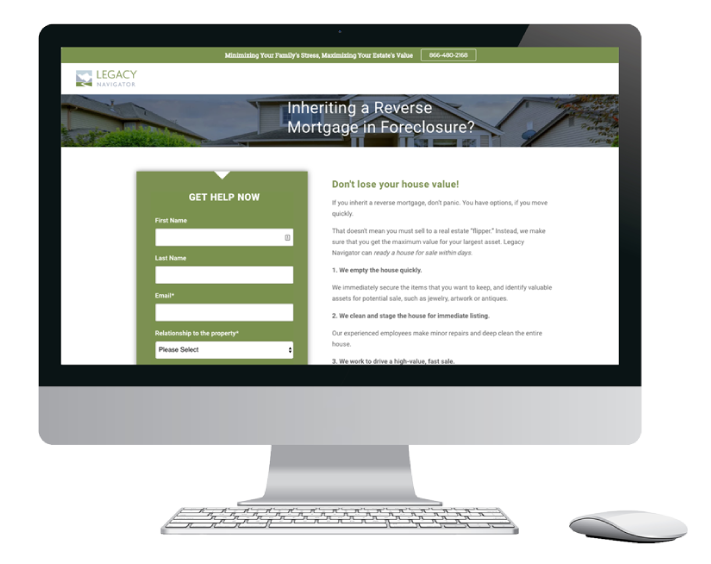 Legacy Navigator is a growing startup that helps families with downsizing, estate cleanouts and estate liquidations. Its team is passionate about helping people navigate through difficult life situations with compassion and empathy. 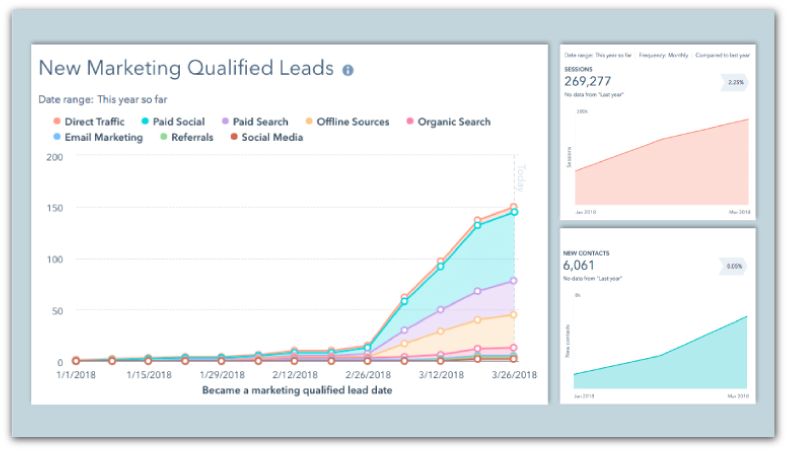 The company had a heavy influx of leads at the top of the funnel, but didn’t have best practices in place for qualifying those leads, moving them through the funnel and communicating next steps with sales. As a result, all leads were treated as marketing-qualified leads (MQLs) and sent to sales, regardless of whether they were truly a good fit. We began by meeting with the Legacy Navigator team to develop a lead-scoring model to help organize prospects in the pipeline and improve sales productivity. To facilitate the process, we organized a lead-scoring workshop with both the sales and marketing teams, so everyone could collaborate and gain buy-in for creating the ideal scoring model. One of our key objectives was to implement a lead-management process that had accountability built in. 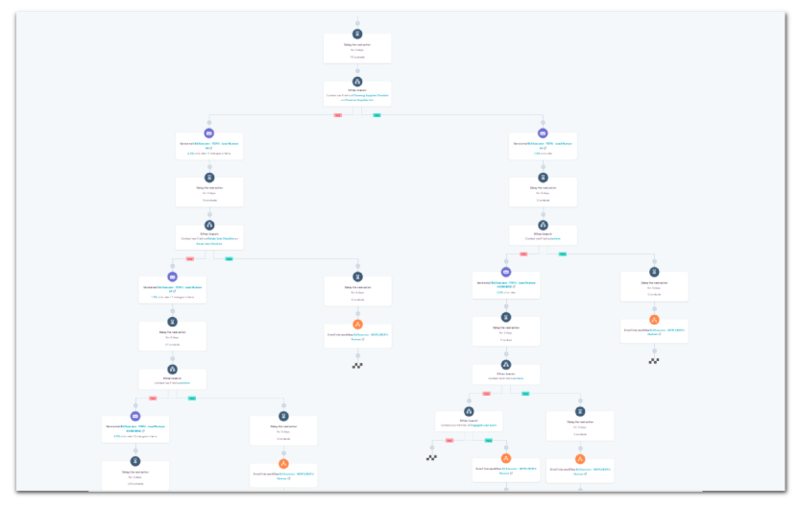 Accordingly, we built a lead-management schematic that outlines a process for sales to follow after the handoff from marketing. We also implemented service-level agreements to add accountability across teams, helping Legacy Navigator determine lead statuses and ensure follow-up with all MQLs within 24 hours. 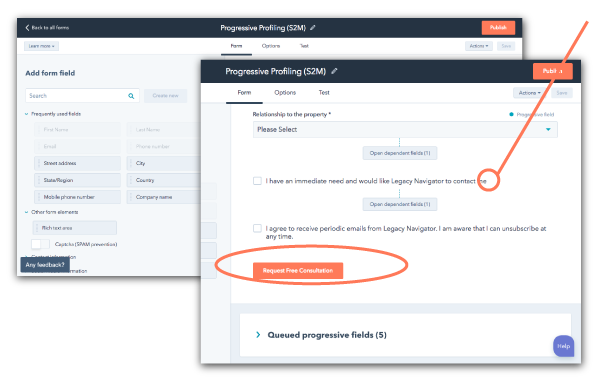 Among our biggest wins was including an “immediate lead” checkbox to progressive profiling forms. Using this checkbox accelerates MQLs and enables sales to quickly contact prospects ready to speak with someone at Legacy Navigator. This has added about one extra MQL a day to the pipeline. Looking at the big picture, our sales enablement work has helped Legacy Navigator follow a process that moves leads from marketing-qualified to closed sale. Leads no longer get lost in the funnel, because we built in opportunities to segment leads along the way. With a stronger lead-management process in place, and better alignment between sales and marketing, the team at Legacy Navigator is in a great position to generate more revenue and continue growing the business. Square 2 has helped our fast-moving startup find and instill lead management and nurture strategies that work for our team. Everyone on our Square 2 Marketing team is so pleasant to work with and they make even highly technical stuff easy to understand.